I do love handmade crafts and this is one of my produce. 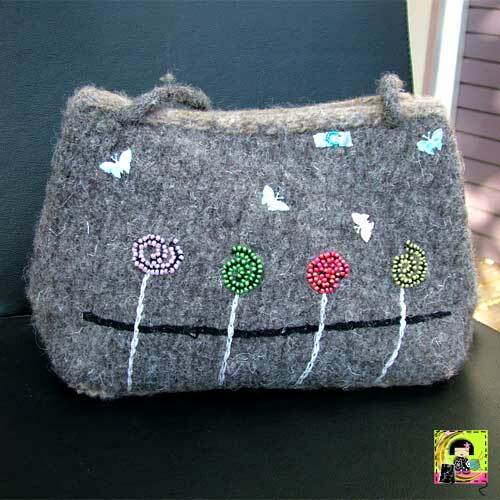 I fell in love with felting almost as soon as we were introduced. And it did not take much time before I was doing things with it! "Summer Joy" makes me think of childhood, summertime, and train rides. This is the other side of the bag. See what I mean about train rides? And childhood? The one continuous strap goes through the four holes in the bag and when drawn, acts as a closer for the bag as well. This bag has been designed with a summery feel and is reminiscent of a train ride through the countryside, seeing the trees go by and the happy fluttering of butterflies; through the eyes of a bright-eyed child in the first throes of holidays. 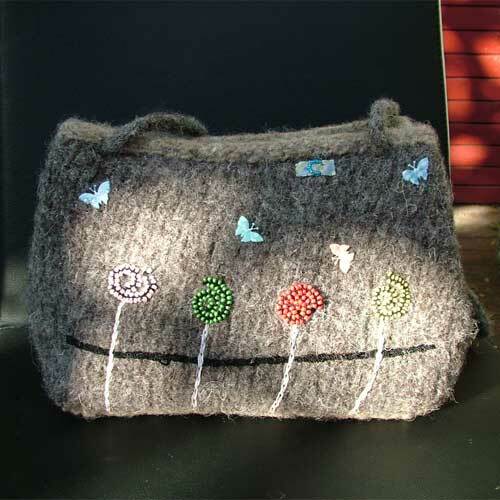 This bag is not only cheerful and funky, it is also roomy and comfortable. Suitable for young and young-at-heart. 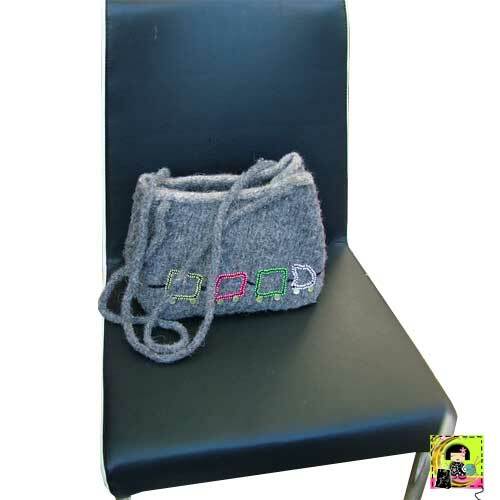 Below, I have placed the bag on a standard chair to provide visual sizing. 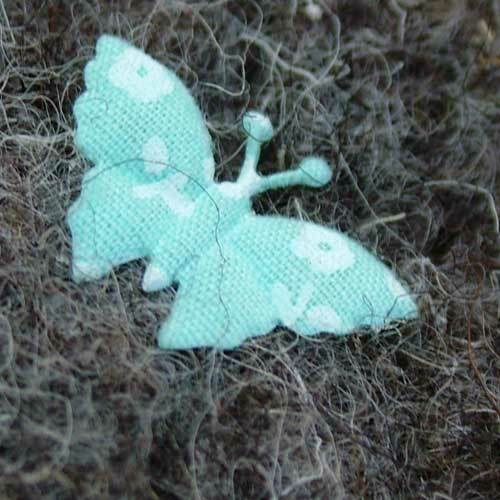 This method of wool-work is more properly called "fulling" than "felting". However the latter term is how it is more commonly referred to and by which, except for purists, it is popularly known by. * The size knitted was considerably larger than the finished size. 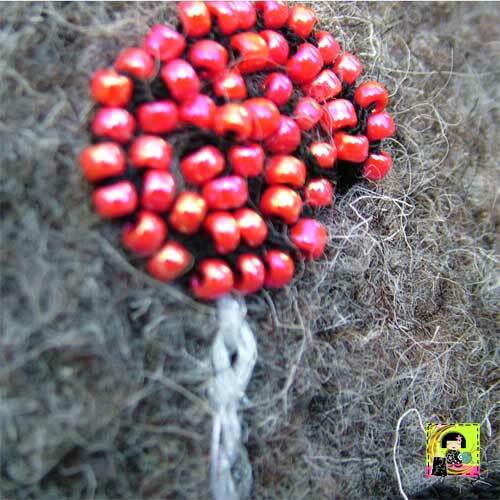 Felting will shrink the piece, more length-wise than width-wise. And it will depend on the yarn and the tension of the knitted piece. Here I used 100% pure wool. 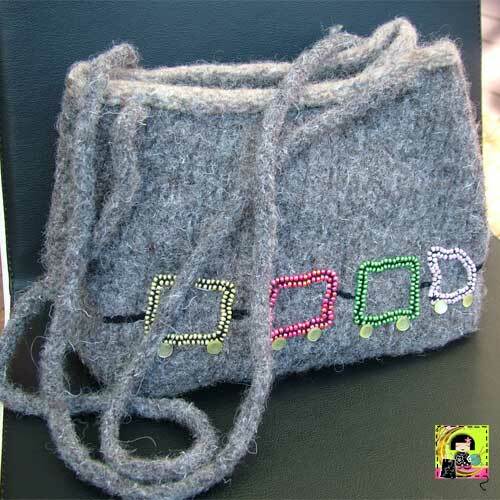 The bag was beaded on both sides, each with different but complementary images. Beading was done in bright, cheery colors. The bottom has been reinforced to help keep its shape and for strength. Here are more of the beaded "flowers". 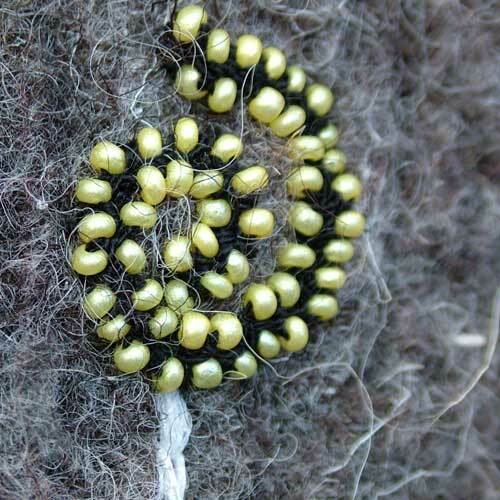 They are actually hand-crochet braiding (no hooks used) with beads worked in as the braid was made so that the beads appear on both edges of the braiding. 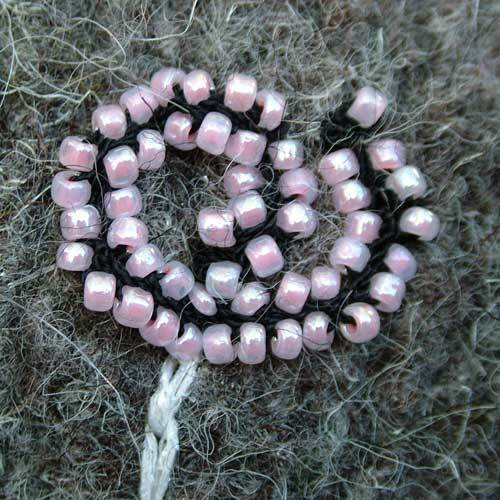 The braiding is then securely sewn onto the bag to form the requisite shapes. 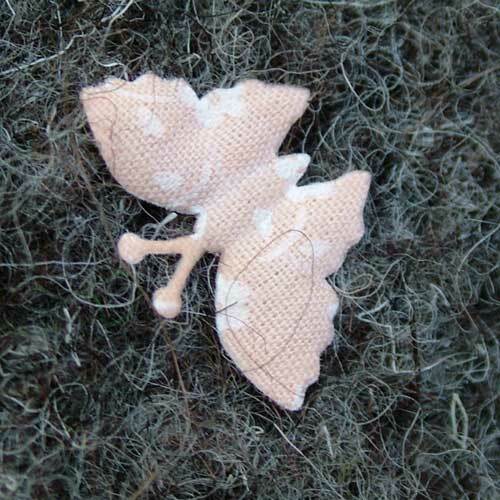 The butterflies are fabric puffy cut-outs. They are (fabric) glued on. 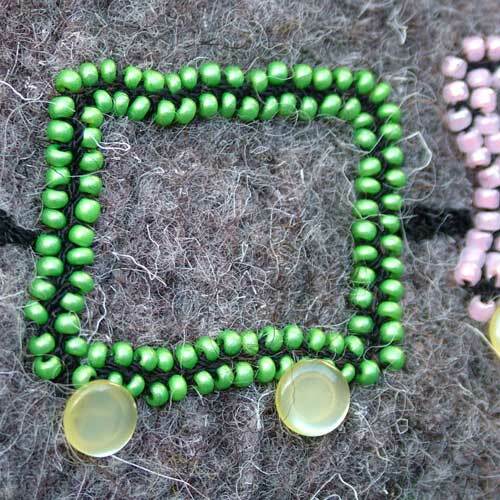 The train "blocks" are, like the flowers above, hand-crochet braiding with beads. The wheels are buttons. This is one of the handmade crafts I truly enjoyed doing from start to finish. I really must make more time to jump back into the summer joy of things!